When in January 2013 the chief of the International Monetary Fund (IMF), Christine Lagarde, attended the 5th international conference of finance ministers and central banks governors of the Maghreb countries, she talked about the necessity of boosting growth and employment within the region, while also reminding the distinguished audience that political issues still constitute a significant obstacle to achieving this goal. According to the IMF, the region should aim to achieve more openness, more integration and more FDI. “A better-integrated Maghreb would allow countries to focus on their strengths. It would help the region stand against unfavorable external economic conditions, and would ultimately lead to more growth and jobs,” Mrs. Lagarde emphasized at the conference. IMF’s official stance on Maghreb is that economic integration in the region is necessary to attract investors, which will in turn translate into economic growth and more jobs. FDI in the region – worth approximately 6.5 billion USD – account for only 2 percent of the MENA’s gross domestic product. “For the level of foreign direct investment to increase, Maghreb countries need to improve the business environment, make customs and taxation rules more transparent, make the judicial system more predictable and independent, and harmonize investment rules across the region,” Lagarde commented. IMF also recommends the region to diversify sectors for FDI in order to make the economies less vulnerable to a crisis in one industry. According to Mrs. Lagarde, however, particular MENA countries are too small to be interesting for investors by themselves hence the IMF is very supportive of a deepened model of economic integration. Given Maghreb’s previous troublesome experience with Western models of economic integration – much like the problematic integration on the whole African continent – MENA economies are trying to use their own ways to attract foreign investors. 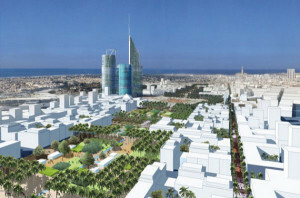 King Mohammed VI of Morocco, for instance, created the Casablanca Financial City (CFC) already in 2010 to spur international interest in the country. CFC, somewhat resembling Asian-type economic hubs, is situated on 100 hectares and is located in Casablanca’s city center. The ‘village’ is envisioned to be investors’ gate to Francophone Africa. Although still under construction, companies from around the world have already submitted their applications to start their operations in the city. In fact, the aim of the developers is not a modest one: “We want to bring the giants here. Think of the biggest names in the world of finance and professional services – Goldman Sachs, Citigroup, JP Morgan, General Electric, Bowman Gilfillan, all of them,“ explained a senior representative of the Moroccan Investment Development Agency (AMDI). The investment in CFC seems to have paid off as Morocco was North Africa’s top destination for foreign investors in 2012, according to the report of the United Nations Conference for Trade and Development (UNCTAD). The country absorbed 2, 836 million USD in FDI, and was followed by Egypt, Sudan, Tunisia, Algeria and Libya. Egypt, like Morocco, embarked on a series of serious plans to attract foreigners. Cairo took first steps in favor of foreign investment already in the 1970s, when free zones were established to promote export, innovation, foreign capital and entrepreneurship. Businesses, which operate within one of Egypt’s 10 free zones, draw on concessionary incentives such as lifetime exemption on all taxes and customs, labor provisions, the option to sell a certain amount of their goods in the domestic market in case custom duties are paid, or the exemption on import and export regulations. In addition to these ongoing enticements, Egyptian government is still making a continuous effort towards FDI. Many restrictions on investment have been removed, privatization broadened, transparency promoted, and competition as well as accountability encouraged. In March 2013, the country has also introduced an agenda to attract investors by enabling them to access U.S. dollars in exchange for the sell-off of their Egyptian assets. As Christine Lagarde reckoned during the IMF conference, improving investment as well as strengthening private sector for the sake of entrepreneurship, FDI, innovation and job creation are all crucial to provide a boost for the region’s development. Yet, it is not obvious whether the Maghreb has once again to follow Western guidelines and plunge blindly into integration business before the countries of the region feel confident enough to take the step. Instead, MENA economies might well look closely at their Asian counterparts and learn some important lessons from their miracle experience. This is, in fact, something they seem to be doing anyway. Katarina Kobylinski (PhD Candidate) is a researcher at the leading CERGE Economic Institute in Prague, Czech Republic, focusing on development economics, political economy of development, the problem of poverty alleviation, institutional economics and economic growth. She holds a Master’s Degree in Development Economics from the University of Warsaw. 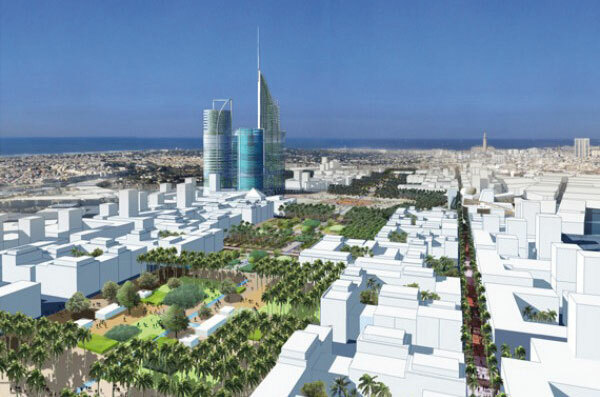 The most remarkable thing about this article is that we learn absolutely nothing about the actual Casablanca Finance City strategy -either from a business perspective or from a macro economic perspective or from a practical applied policy perspective. All we hear here is the author’s ability to parrot in a fairly empty fashion academic jargon and some out-dated left-oriented political slogans. Pity, as there is some real analysis needed relative to the subject, but this is empty blithering.